The nearest big town to our center is Maheshwar which is 4 kms away. Maheshwar is situated on the banks of river Narmada. It is a historical and a tourist place. It is located 13 km east of National Highway 3 (Agra-Mumbai highway), Dhamnod and 91 km from Indore. The nearest Airport and major railway station to Maheshwar is Indore. One can reach from all the major cities of the country to Maheshwar through all the three modes of transportation through Indore. One can take a taxi from Indore to reach Maheshwar, which is approximately 91 km away. 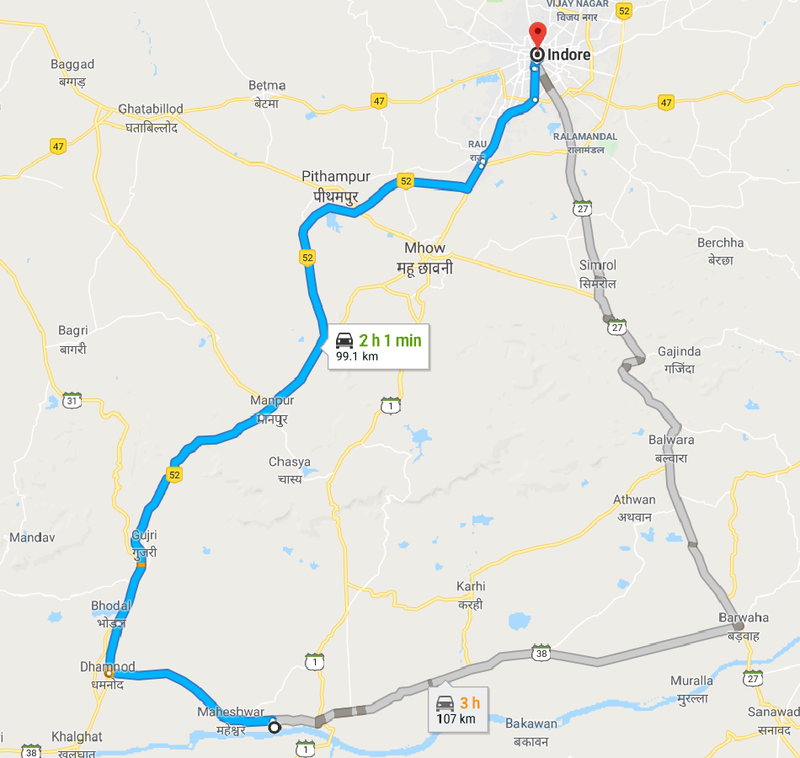 The nearest airport is Devi Ahilyabai Holkar Indore Airport (IDR) which is 91 km away. Indore airport is connected to all the key cities like Mumbai and Delhi. From the airport, visitors can hire a taxi to reach Maheshwar. Overnight buses from Mumbai to Indore are available. One has to get down at Hotel Foodie on AB Road near Dhamnod. From Dhamnod Maheshwar is 13 kms. One can catch a Dhamnod Barwaha or Dhamnod Omkareshwar bus and get down at Gandhinagar Naga Mandir. The nearest major railway stations are Indore (91 km) and Khandwa (110 km) . Trains from Mumbai, Delhi and other major Indian cities halt at the station. From the station, visitors can hire taxi for Maheshwar. From Indore, Goshala is a 2-hour drive. We can arrange a one-way transfer (INR 3000 approximate) with sedan car.